A handy reference glossary containing all the gardening terms you need to know when growing organically. Acidic: Soil or compost with a pH between 0 and 7.0. Sometimes referred to as “sour” soil by gardeners. Aeration: Replenishing compost with oxygen by manual or mechanical means. 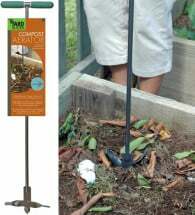 The most popular way to aerate a compost pile is to manually turn it over with a fork, shovel or compost turner. If a compost pile is well aerated it will not smell bad, as CO2, the main gas by-product of aerobic bacteria, is odorless. Aerobic: Needing oxygen to survive and grow. Almost all animals, including humans, are aerobic organisms as well as most fungi, and many varieties of bacteria. The heat and moisture at the center of a compost pile are the noticeable by-products of bacteria that metabolize aerobically. Anaerobic: Not needing oxygen to grow or survive. Most anaerobic organisms are bacteria. Many of these bacteria actually die in the presence of oxygen. Anaerobic bacteria are prevalent in swamps, bogs, cold lakes and animal (including human) digestive tracts. In compost piles, anaerobic bacteria proliferate if the pile is not aerated often or at all. 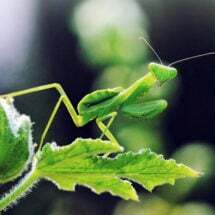 Beneficial Insect: An insect that eats or lays its eggs in other insects thereby controlling them. Learn more about beneficial insects here. Biennial: A plant that completes its full life-cycle in two growing seasons. It produces leaves in the first and flowers in the second. Biosolids: Bio-solids are the sludge by-product of wastewater treatment. Bio-solids are created when wastewater and sewage are treated to reduce pathogens and to break organic matter down into their more stable elemental forms. 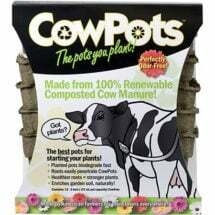 Bio-solids are often used as soil conditioners and fertilizers for agricultural crops (see Is Your Compost Made of Sewage Sludge?). Bolting: Producing flowers and seeds prematurely. Chelation: The formation of bonds between organic compounds and metals, some of which are insoluble, as in humus. Soluble chelates are used in fertilizers to help keep nutrient metals such as iron, mobile in the soil and thus available to plants rather than locked up in insoluble mineral salts. Cold Frame: An unheated structure made of wood and covered with glass or plastic. Cold frames are used to protect plants from frost and are helpful season extenders. Read more about cold frames here. Companion Planting: The sowing of seeds in the garden in such a way that plants help each other grow instead of competing against each other. Cover Crop: Vegetation grown to protect and build the soil during an interval when the area would otherwise lie fallow. Crop Rotation: The planting of a specific crop in a site different from the previous year. Crop rotation is especially important to the organic grower because it precludes many of the problems that lead to the use of chemical pesticides and herbicides. Cultivar: A plant variety that is cultivated, not wild. Deadheading: Cutting off dead or dying flowers to encourage further blooms by preventing the setting of seeds. Direct Seed: To seed directly in the soil instead of starting in flats. Double Digging: A process of developing a loose, deep garden bed with good aeration and drainage by first removing the topsoil, then loosening the subsoil and finally replacing the removed topsoil. 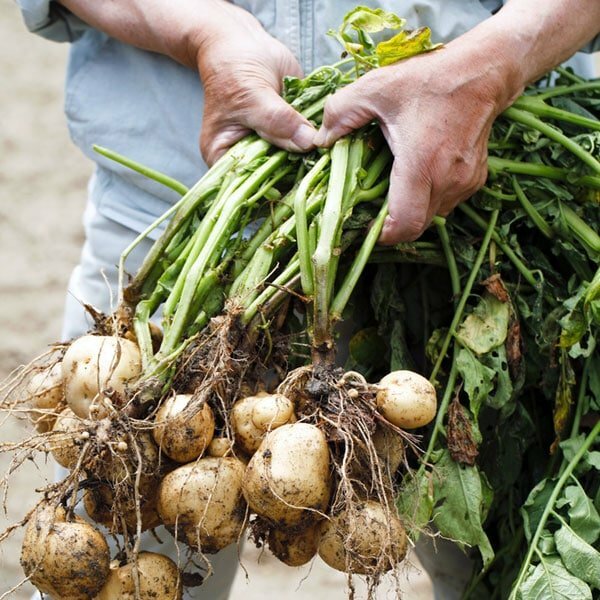 Double digging is an ideal form of garden bed preparation when planting carrots, beets, potatoes, onions and other root crops as well as a way to improve the overall health of the garden. 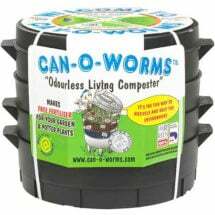 The increased oxygen and water penetration from double digging allows worms and microbes — vital to decomposition and plants’ absorption of nutrients through nitrogen-fixing — to thrive. Fertilizer: An organic or synthetic material added to the soil or the plant that is important for its nutrient value. 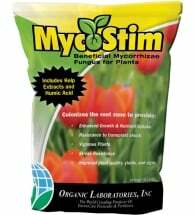 Visit our Gardener’s Guide to Fertilizers here. Foliar Fertilizer: A fertilizer applied in liquid form to a plant’s foliage in a fine spray so that the plant can absorb the nutrients through its leaves. Green Manure: Also known as cover crops, green manure crops are planted when land is fallow, for instance during fall or winter, and used to suppress weeds and bring nutrients to the surface. It is then plowed under before planting in order to increase biomass within the soil. Green manure is often used to recondition soil that has been over worked and is a useful tool in agricultural crop rotation. Legumes such as clover and vetch are popular green manures because they encourage the growth of nitrogen-fixing bacteria that break down nitrogen from the soil and atmosphere into forms useable by plants. Hardening Off: The process of acclimatizing plants grown under protection, in the greenhouse for example, to cooler conditions outdoors. Integrated Pest Management (IPM): An effective and environmentally sensitive approach to pest management that relies on a combination of common-sense practices. IPM programs use current, comprehensive information on the life cycles of pests and their interaction with the environment. This information, in combination with available pest control methods, is used to manage pest damage by the most economical means, and with the least possible hazard to people, property and the environment. Loam: An ideal soil for gardening and agriculture made of a combination of sand, silt and clay in roughly equal proportions. Loam is high in nutrients and humus and is able to retain more water than other soils while still allowing it to flow freely. Loam may come in different varieties usually described by the different proportions of constituent particles such as sandy loam, clay loam, silty loam or sandy clay loam, etc. Gardeners often create loam from their existing soil with the use of soil amendments and compost. Mulch: A soil covering used in gardening and agriculture to protect soil from the extremes of weather and climate by helping conserve soil moisture and moderating temperatures. Mulch helps soil retain water from rainfall and heat absorbed during daylight. It also protects soil against direct sunlight therefore keeping soil moist and cool during the hot summer months. Weed prevention is a major use for mulch. It both blocks sunlight to unwelcome weeds and smothers the seeds before they start. Mulch is also great for erosion prevention and protecting soil from the damaging aspects of heavy rains. Common materials used for mulch are: hay, straw, grass clippings, bark, sawdust, wood chips, newspaper and cardboard. Rocks, gravel and plastic are also often used as mulch. If compost is used as mulch, it is necessary that it is fully composted and that all weed seeds have been killed; otherwise, it will actually contribute more weeds to the area. N-P-K: Stands for Nitrogen, Phosphorus and Potassium (aka potash) the macronutrients necessary for plants to survive and grow. Usually listed on fertilizers and soil amendments with a number, for example 7-9-5, representing the percentage by weight of each nutrient contained in the product. Nitrogen is the macronutrient necessary for vegetative growth above ground. Nitrogen, the most important macronutrient, promotes healthy stem and leaf growth and provides for rich dark green foliage. Phosphorus is the second most important macronutrient and is vital to root growth, fruit and flower development and disease prevention. Potassium is important for strong, healthy plants. It contributes to disease resistance and protects plants from cold as well as water loss during periods of heat and drought. No-Till Gardening: A type of garden that calls for no cultivation of the soil after the initial tilling. Instead, regular mulches are added and plants are planted through the mulch. This saves on labor and eliminates weeds which might germinate as a result of tilling. Learn more about No-Dig Vegetable Gardening here. Open Pollination: Refers to seeds produced from plants which are allowed to pollinate primarily through insects, birds, wind or other natural mechanisms. The seeds of open-pollinated plants will produce new generations of those plants. This is in contrast with hybrid plants which are artificially cross-bred varieties that do not produce reliable seed. Organic: Refers to something derived from living organisms and is made up of carbon-based compounds. It is also a general term used for a type of gardening using no chemical or synthetic fertilizers or pesticides. 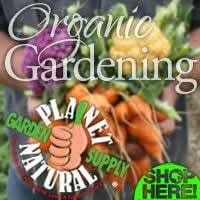 Organic Gardening: The practice of growing fruits, vegetables, flowers and other plants without the use of chemicals or synthetic products. Organic gardening philosophies and techniques vary. Some believe in only using plants and products that occur naturally in the local environment. Others are more liberal using any product so long as it is organic and is not harmful. Still others consider organic gardening to be an integral part of sustainable living, taking into account not only if the product is organic, but if things such as the fossil fuels were used in shipping and the product’s effects on the local ecosystem. Generally organic gardening is the art of growing plants using organic products such as compost, natural soil amendments, natural pesticides and beneficial microbes and insects. Season Extender: Techniques and equipment used to extend the growing season in both spring and fall. Examples include greenhouses, cold frames, hotbeds, row covers and products such as Wall O’ Waters. Soil Amendment: Any material added to soil to improve or change its characteristics. Soil amendments are utilized when physical properties such as structure, aeration, nutrient and water retention, and drainage need improvement. The main function of soil amendments is to provide a better environment for the roots so they can grow and absorb nutrients more easily. Click here for our list of commonly used soil amendments. A short description and application rates are included for each product. Soil Test: Measuring soil for pH and N-P-K ratios, often done in labs, or with home soil test kits. Soil tests are important in determining what plants work best in a specific native soil and for understanding any nutrient and pH deficiency soils may have. Gardeners often test soil regularly to optimize a soil’s properties depending on the plants being grown. When deficiencies or nutrient needs are determined gardeners adjust the soils physical properties by adding various soil amendments. Tilth: The physical properties and fitness of a soil for a specific plant or crop. Generally tilth means tilled earth, but to gardeners, it is the overall health or needs of a soil when growing certain plants. A soil with good tilth is easily worked, has a good pH and structure, and allows for maximum aeration, nutrient and water retention as well as easy root penetration. Soils deemed as having poor tilth can be improved with elemental soil amendments, compost and fertilizers. Topdressing: Application of a thin layer soil mix or compost to a lawn or garden. Topdressing improves soil quality gradually as each successive layer builds upon the last. It is a method used to even out bumpy or uneven lawns and stimulates grass to grow new roots resulting in a thicker lawn cover. Topdressing is similar to sheet composting in application except that the material used is fully decomposed. Transplanting: Shifting of a plant from one soil or growth medium to another. Xeriscaping: Creating a low maintenance landscape with native plants and reduced areas of turfgrass. A primary goal of xeriscaping is reducing landscape water consumption. Visit our Xeriscaping page for more information.